Newly formed Utah league amps up voter registration. Next step: Put Muslims on the ballot. 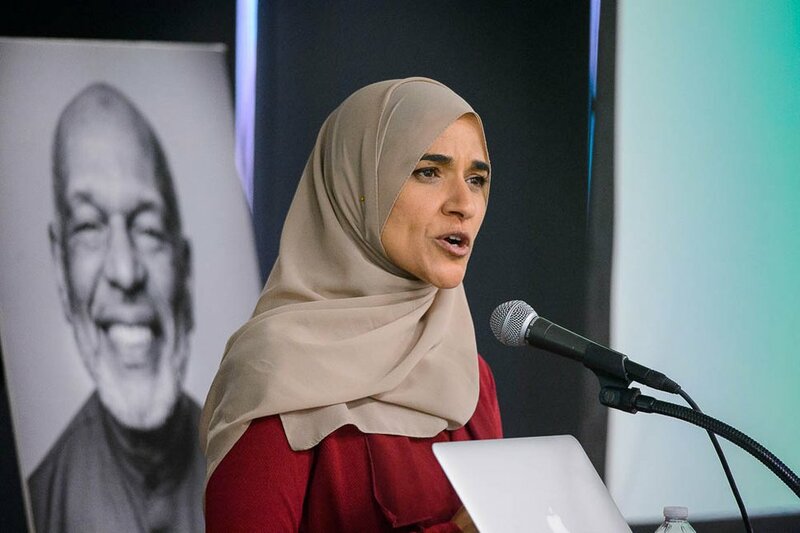 (Trent Nelson | The Salt Lake Tribune) Dalia Mogahed speaks at a luncheon hosted by the Utah Muslim Civic League in Salt Lake City on Tuesday, April 2, 2019. It has produced doctors, lawyers, engineers, teachers, entrepreneurs and leaders contributing to the state in virtually every field — except politics. Launched just before last fall’s midterm elections, the league worked to register Muslim voters, brought candidates to the closest mosque and hosted phone banks on behalf of several candidates. Going forward, organizers plan to register more Muslim voters as well as sponsor community forums and town hall meetings so Muslims can meet the candidates and pose pointed questions to them. In terms of political action, she said, the team hopes to one day have Muslim candidates for office and, before that, to have Muslim congressional staffers who can begin to build a network of support. The luncheon’s keynote speaker, Dalia Mogahed, is the director of research at the D.C. institute. 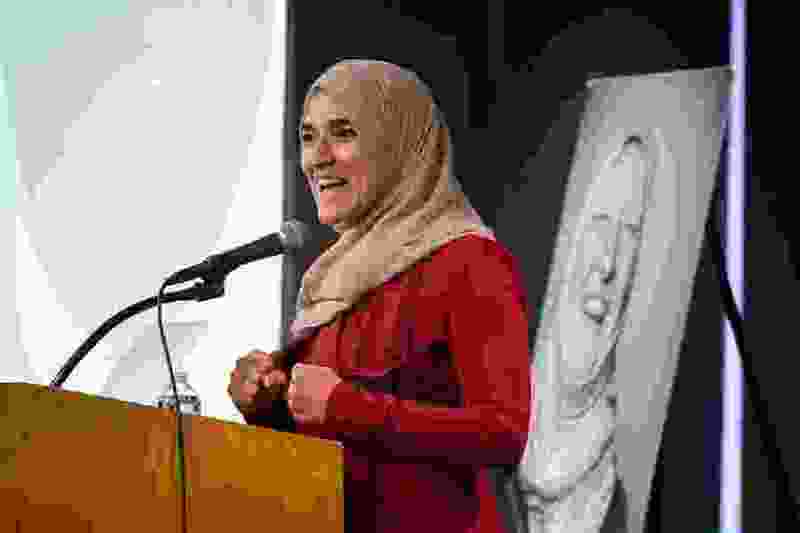 Mogahed opened her speech by detailing her personal history, growing up as an Egyptian immigrant who moved to Madison, Wis., with her family when she was 5. ‘Mormon Land’: Why can’t we all just get along? Muslims and Latter-day Saints seem to have found a way. With trepidation, the couple made the trip to their new home, and, with even more anxiety, found their way to an unfamiliar mosque on the first Friday after arriving. To their astonishment, half the people crowded into the mosque that day were Christians, Hindus, Sikhs and all variety of non-Muslims, there to support their friends and neighbors. It is that mutual love and respect that the researcher promotes with her words and works. To achieve such religious harmony requires verifiable data, Mogahed said, given all misinformation about Muslims. For example, islam is the United States’ most ethnically diverse faith — with blacks comprising 30 percent of Muslims and Arabs 18 percent. Muslims have a higher level of education than the general public, she said. Half are born in the U.S.; half are immigrants. The event, co-sponsored by Utah Council for Citizen Diplomacy, also handed out awards for civic leadership to Iranian-born industrialist Khosrow Semnani and Salt Lake County District Attorney Sim Gill. In his acceptance speech, Semnani recalled meeting the late Gov. Cal Rampton in 1968 after the young Iranian student organized the first Middle Eastern Student Association at Westminster College. The industrialist pointed out a recent report that Utah was the only state in the country where public officials had never said anything derogatory about Islam. Gill, who came late to the lunch after watching Gov. Gary Herbert sign a landmark hate crimes bill, reiterated the importance of empathy. Like Banuri, Gill, who is Sikh, said it is time for Muslims and other underrepresented groups to be at the governing table.